Sometimes hair loss and thinning hair is a sign of a serious medical condition. Other times, the issue can simply be remedied with a hair loss treatment. But hair loss may be a sign of a more serious medical condition that needs an evaluation by a dermatologist and possible treatment. Here are 10 causes of hair loss and how to deal with them. 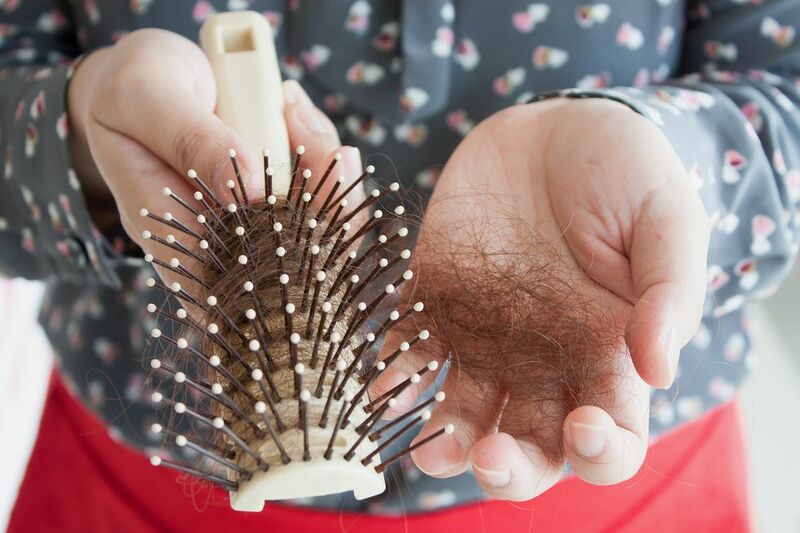 Telogen effluvium is a phenomenon that occurs after pregnancy, major surgery, drastic weight loss, or extreme stress, in which you shed large amounts of hair every day, usually when shampooing, styling, or brushing. It can also be a side effect of certain medications, such as antidepressants, beta-blockers, and nonsteroidal anti-inflammatory drugs. During telogen effluvium, hair shifts faster than usual from its growing phase into the "resting" phase before moving quickly into the shedding, or telogen, phase. The tests: There are no tests for telogen effluvium, but your doctor may ask you about recent life events and look for small "club-shaped" bulbs on the fallen hair’s roots. The bulbs mean the hair has gone through a complete cycle of growth, suggesting that the cycle may have sped up due to stress. What you can do: In some cases, such as after pregnancy or major surgery, you may have to bide your time until the hair loss slows. If medication is the culprit, talk to your doctor about lowering your dosage or switching drugs. If it’s stress-related, do your best to reduce anxiety. These simple tips for relieving stress may help as can the exercises in the video below. Hair loss that is genetic is known as androgenetic alopecia and, according to the American Academy of Dermatology, is the most common cause of hair loss. 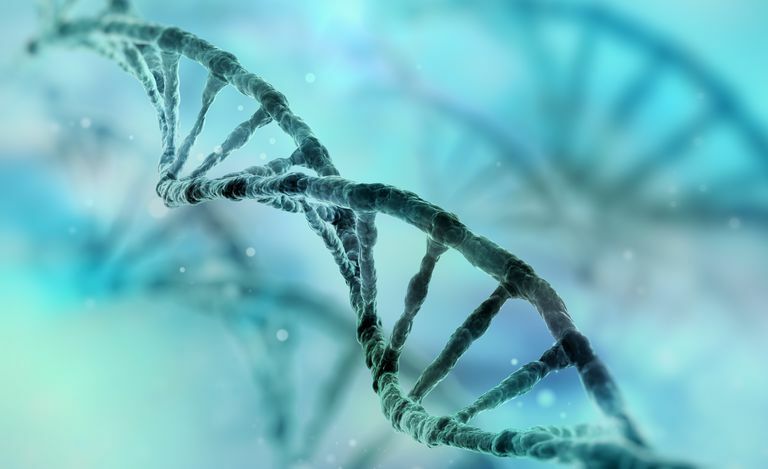 The gene can be inherited from either your mother's or father's side of the family, though you're more likely to have it if both of your parents had hair loss. The symptoms: Women with this trait tend to develop thinning at the hairline behind the bangs, says Pamela Jakubowicz, MD, a dermatologist at Montefiore Medical Center in New York City. The condition develops slowly and may start as early as your 20s. You may be vulnerable if your mother also has this pattern of thinning. In some cases, the hair loss may be diffuse, meaning it's spread across the entire scalp. What you can do: While there's no way to totally prevent hair loss, you can slow hair loss by applying minoxidil (Rogaine) to the scalp twice a day. The drug works on both women and men, although women should use a lower-strength formula to prevent unnecessary side effects. Women should not use minoxidil if they are pregnant or nursing. Men may be treated with finasteride (Propecia), an oral medication. The symptoms: Hypothyroidism (too little hormone) may cause a host of symptoms, including unexplained weight gain, fatigue, constipation, depression, and difficulty concentrating. Hair, nails, and skin may become more brittle and break more easily. It’s more common in women, especially over the age of 50, says Los Angeles-based endocrinologist Theodore C. Friedman, MD, MPH. It affects about 5 percent of the US population but is nearly 10 times more frequent in women. Hyperthyroidism (too much hormone) may cause inexplicable weight loss, heart palpitations, nervousness, irritability, diarrhea, moist skin, and muscle weakness. Hyperthyroidism is much less common than hypothyroidism and affects about 1 percent of the US population. What you can do: See a rheumatologist if your hair loss is accompanied by joint pain, fatigue, or other symptoms of lupus. If you also have a rash on the scalp, you need to see a dermatologist, who is likely to prescribe a topical cream. The symptoms: In addition to hair loss, iron deficiency anemia causes extreme fatigue, weakness, and pale skin. You may have difficulty concentrating and also notice headaches, cold hands and feet, and hair loss. Any type of exertion may leave you short of breath. What you can do: Eat iron-rich foods such as beef, pork, fish, leafy greens, fortified cereals, and beans—preferably, along with foods rich in vitamin C, which enhances iron absorption. Women need 18 milligrams of iron a day and 8 milligrams after menopause; ask your doctor if you should take an iron supplement. What you can do: Avoid using appliances that overheat your hair. Set your hair dryer on cool and low settings, and minimize your use of flat and curling irons. Don’t dye your hair more than one or two shades from its normal color: The more severe the color change, the more chemicals you require, which can make hair break. If you use hair gel or hair spray, don’t wait for it to dry before you comb through it, because the hair will harden and be more likely to break. Try Art Naturals Organic Argan Oil Hair Loss Shampoo for Hair Regrowth along with some of these other best products for thinning hair to add volume while strengthening hair strands. While it's rate for people living in developed counties to develop a protein deficiency, if you've recently become a vegan or vegetarian and haven't made an effort to work plant-based proteins into your diet, it's possible you may not be coming enough of the nutrient. When this happens your body may ration whatever protein is already in your body by shutting down hair growth, according to the American Academy of Dermatology. This typically occurs two to three months after your protein intake took a dip. The tests: If your doctor is worried a lack of protein may be to blame for your thinning hair, she may do a blood draw for a total protein test, which measures of all of the proteins in your blood. What you can do: Eating more protein will likely stop the hair loss. Things like meats, eggs, and fish are excellent sources of protein, as are many plant-based foods, including tofu, beans, wild rice, nuts, and oatmeal.